Superstar Amitabh Bachchan, who will turn 75 on October 11, said that he won't be celebrating his birthday this year. On his blog, Big B wrote, "Many threaten and plan a 75th celebration for my birth.. may it be known that there shall be no such event, allowed or even acknowledged.. may it be known that if there is such move by others they must withdraw from it for I shall never acknowledge or endorse such .. be it family or Ef or any other.. it is not going to be with any consent." It was earlier reported that the Bachchan family is planning a grand party to celebrate Big B's 75th birthday. However, he wrote, "All this talk and news of a big celebration for my 75th is not true, ridiculous, and an absolute facetious, farcical hibernating illusion." 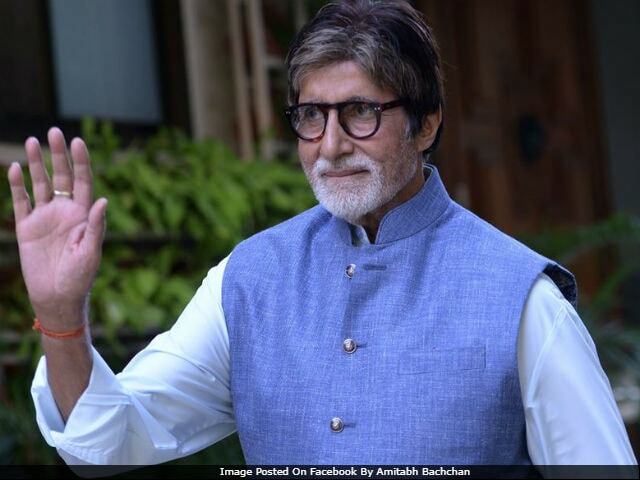 Amitabh Bachchan who is currently busy shooting for television show Kaun Banega Crorepati, also wrote that he won't be in town on October 11. "And if there are those from within and without that are making any kind of plans.. let it be known to them.. I am not going to be there, come what may.." Big B wrote. Big B along with wife Jaya Bachchan, daughter Shweta Nanda and granddaughter Navya Naveli Nanda attended the Vogue Beauty Awards last week. His daughter-in-law, actress Aishwarya Rai Bachchan was also present at the event. Amitabh Bachchan is the son of acclaimed poet Harivansh Rai Bachchan and Teji Bachchan. He also has a younger brother Ajitabh. Big B married actress Jaya Bachchan in 1973. Shweta is the couple's elder child. She has a younger brother Abhishek, who is an actor and is married to Aishwarya Rai. Amitabh Bachchan, who last starred in critically-acclaimed Pink, has two releases lined-up for next year - Thugs Of Hindostan and 102 Not Out.